Why mask your symptoms? Treat underlying patterns without harmful side-effects! Chinese Herbal Medicine is a comprehensive form of Medical therapy that has been practiced for over 3000 years. Through clinical observation and more recently, modern scientific research, it has been proven to be an effective medicine to treat many disorders and a complete spectrum of medical concerns from acute to chronic conditions. Chinese Herbal Medicine and Acupuncture are complimentary therapies. It differs from other Western approaches to supplements and medication in that the herbs are prescribed as customized formulas for each individual. Herbs are selected to create a personalized formula based on each patient’s constitution, symptoms and goals. The herbs and formulas have certain properties that align with the body’s natural physiology to treat underlining causes of disease or imbalance. Chinese Herbal Medicine address underlying patterns that may lead to symptoms and disease, while pharmaceutical medications treat only symptoms. Prescription and over-the-counter medications have known and un-known side effects such as digestive upset, sleep disturbance, skin problems, hair loss, sexual dysfunction, and others. Chinese Herbal Medicine treats without harmful side-effects as the herbs are considered to be food supplements used to strengthen and support health. Moreover, the herbal formulas will often strengthen immunity, support vitality and improve one’s sense of well-being while treating the main complaint. Herbal medicine is a natural approach to healing that is less expensive economically, physically and environmentally. The herbs come directly from nature and work with our body’s natural processes and tendency toward health and balance. Herbal consults are one hour and can be done as a separate appointment or in conjunction with acupuncture treatments. After the first consultation, a patient will receive a specialized formula within one week. After taking the formula for at least 2-4 weeks, 30 minute follow-up visits are scheduled. Herbal follow-ups may also be completed concurrently with acupuncture treatments or on their own. Ask Us if Chinese Medicine can help with your unique symptom or goal! At BlueGreen Acupuncture & Bodywork, we are vigilant to assure that the medicine and products we buy and use are chemical free, pesticide free and natural. The health of our patients and our commitment to the environment is our number one priority. We are meticulous about who we choose to partner with to bring safe products to our patients. We are in relationship with only the best growers, farms and manufacturers that follow a rigorous set of standards and safety measures to ascertain that our herbs are of the highest quality. Most of the herbs we use are either organic or wild crafted. We buy herbs and formulas that are free of chemicals, pesticides and other environmental contaminants. Through these growers, we do not use any medicinal substance derived from an endangered species or one that involves inflicting pain on a living being. For more information - visit the links below to read more about the quality and safety of the Chinese herbs we use! We're proud to work with these farmers, growers and manufacturers! 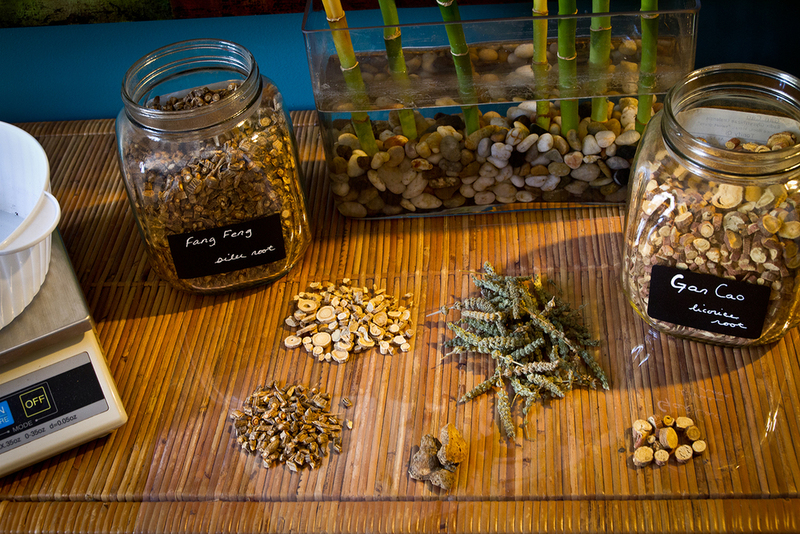 Email Us if you have any questions or to schedule a Chinese Herbal Medicine session with one of our practitioners.